I've written a lot about the exciting adventures of Boy Wonder, 30-year-old supervisor who knows everything. I've also had quite a bit written to me about him, because as far as I can tell, he works in almost every New York City school. Sometimes he's a girl, but his behavior is entirely predictable and entirely frustrating to those of us who have to see it up close and personal. And every word he writes comes from the voices in his head. I've sat and watched video of lessons. I've measured what supervisors wrote against what I saw, and they simply did not match. This is a tough thing to see, because it forces you to ask just how often that happens. I'm not terribly fond of Danielson for a number of reasons, but this particular quirk is not entirely her fault. I don't suppose, when designing her rubric, she envisioned or allowed for supervisors who were dishonest or delusional. She should have, if she were the expert she portrays herself as. I love this column by Arwen, who used to blog here. It compares the old observations to the new ones. I can't help but conclude that free-form observation reports are far superior and more helpful than the checklist crap we have today. If you have an intelligent, experienced, and insightful leader you can really get support from something like this. A good supervisor ought not to need a dumbed down checklist to evaluate a field as infinite as teaching. A good supervisor will notice things Danielson did not imagine. Danielson, despite all that money she's made off of our sweat and toil, does not know everything. I agree with a lot of what she suggests, though. I love to see a lively classroom with student engagement. I love it when a brilliant student takes the class over from me, and that's actually happened a few times. Alas, it doesn't happen when I click my fingers. Worse, brilliance is the very opposite of what I see in some supervisors. Some supervisors will go to a lecture or something and decide they have found The Answer. The green one when it's easy, the red one if it's hard. But really he's just happy that you're doing as you're told. Will kids just tell their classmates that they don't understand? Not Boy Wonder's problem so don't ask him that again. I've had several supervisors tell me this is the Way to Go. In fact, I read one observation report which actually criticized a teacher for going around the room looking at student work. That was ineffective, contended this supervisor. Instead, there should've been green and red cards. That was one of the most idiotic contentions I've ever seen, and I guess I'm ineffective too. I am constantly walking around looking at student work. That's how I know exactly what students do and don't understand. Boy Wonder thinks you should take students' word whether they understand or not. The fact is students who don't understand may not know they don't understand. This is a quality, if not corrected, that they can grow up with. It's our job to show students a path to understanding. If we don't, they'll grow up just as Boy Wonder did, thinking he's the smartest person in the room. What happens to a person like that when he has to face an entire department of people smarter than he is? Generally, it seems to end up with him asserting himself against questions he can't understand, let alone answer. YOU are INEFFECTIVE. It's just a little check in a box, but it's pretty degrading, particulaly when he likely as not just made the thing up. This is what a whole lot of city teachers have to face each and every day. The DOE wonders why teacher turnover is so high, but I don't. 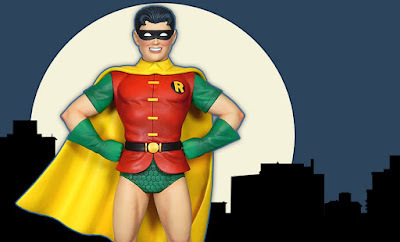 Listen to Boy Wonder right here, and let me know whether you've worked for him before. Hope you're not working for him now.